facebook | Who Said Life Wasn't Complicated? Everyone, including me, seems to be hooked on the new app, “draw something“. it is number one on both the free and paid apps charts in app store. 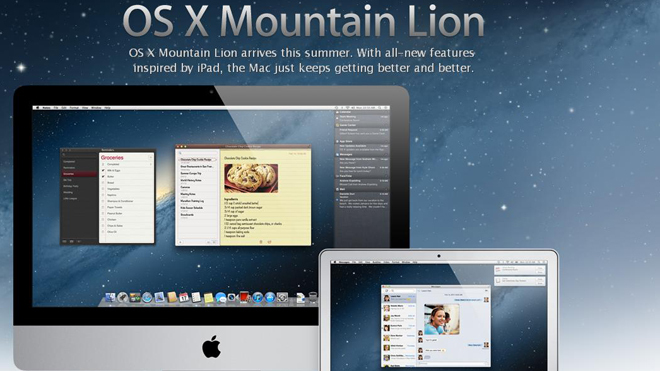 In its first five weeks, it was downloaded 20 million times. Move over Angry Birds! The app involves drawing a picture, from a choice of 3 (easy, medium, hard), and then sending it to someone else to guess. 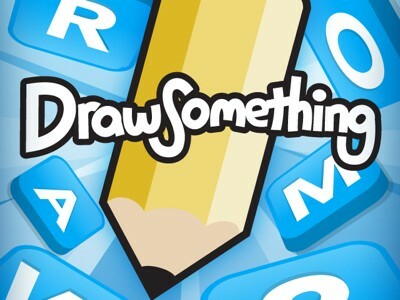 It’s the mobile equivalent of ‘pictionary’ and its incredibly addictive (at least for the first couple of weeks). I woke up this morning to find reminders for 17 drawings that I was still to guess. 17 drawings! And the thing is, if you manage to get that list down to 0, which will take you a good half hour, as you draw the final drawing, someone will then send you another one to do. For someone who needs all their jobs to be done, for things to be neat and tidy and to have no unread e-mails in their inbox, this is a nightmare. It is a game that you will never finish. There will always be another drawing to guess or draw. It’s so easy to become a slave to something isn’t it? Whether it be facebook, twitter, an app, or some other social construct, we always end up becoming its slave. It seems to be built into our DNA. Maybe we just like something controlling us. Maybe it gives us a sense of purpose, an identity, something to be part of. Paul was on to something wasn’t he? What are we, or our young people enslaved by? What do we constantly need to feed? Part of the joy of the season of Lent is to remind ourselves that we are not slaves anymore, that we have been set free. What do you need to be set free of today? I’m not a fan of Justin Bieber‘s music. Don’t get me wrong, I don’t hate it. it’s just not my kind of thing. No one can deny however that he is many peoples ‘thing’. And he wields an incredible amount of power and influence. So it’s great to see him use that power and influence for good. To celebrate his 18th birthday, Bieber announced on Twitter Wednesday night that he’d be giving up his birthday for charity: water. He has asked fans to donate $18 to the charity and even consider giving up their birthday and having people send money to the charity instead. 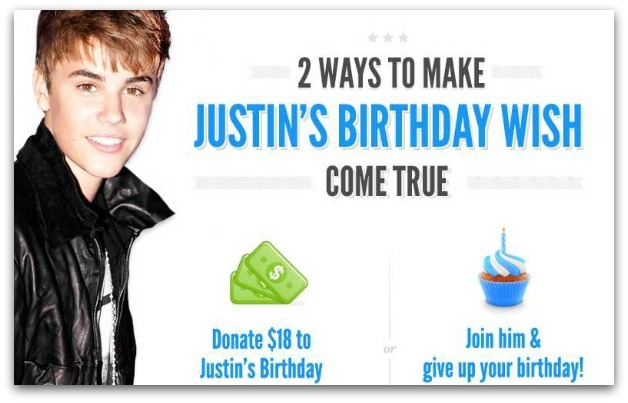 This is the second-consecutive year Bieber has asked his fans to donate to charity: water for his birthday. When he turned 17, he raised $47,148 through donations made by 2,357 of his fans, most of whom gave $17. Bieber is promoting the campaign exclusively through Facebook and Twitter, two networks where he has nearly unmatched followings among celebrities. So often celebrities use their influence and power to market products in order to make them more money. It’s great to see Bieber use his influence for good. This could be a great little discussion starter for your youth group. My last post was a video of a talk given by Peter Benson on helping young people discover their spark. watch here. This is an idea I have been fascinated for awhile but, as a christian, I speak about it in different terms. “Through these he has given us his very great and precious promises, so that through them you may participate in the divine nature, having escaped the corruption in the world caused by evil desires.” 2 Peter 1:4. The greek word Peter uses here is theosis (also understood as divinization). It refers to the “attainment of likeness of God, union with God and/or reconciliation with God”. Eastern Orthodox understands this as “the purpose of life, and it is considered achievable only through a synergy (or cooperation) between humans’ activities and God’s uncreated energies (or operations)”. I believe Peter Bensons ‘spark’, Ken Robinsons ‘element‘ and the process of theosis are all speaking of the same thing. Becoming what we were created to be. I believe this should be one of the main goals of christian youth work. Through prayer, prophesy, observation and conversation, we should aid young people in discovering who they are created to be and offer them opportunities to be transformed into this likeness. Whether it be a footballer or a dancer or a teacher, we should name these qualities and help young people become them and help them relate this to being created in the image of God. Do you do this currently in your youth work? If not, how would your work change if this was at the centre? On Thursday at the f8 conference in San Francisco, Mark Zuckerberg gave a keynote speech, highlighting the new changes that would be happening to facebook. As a youth worker who engages young people with facebook, I thought I would give a brief summary of some of these changes and what it could mean for the young people you and I work with. Feel free to comment and add your own thoughts to this post and the major changes that facebook are bringing in around 30th September. Timeline is a complete overhaul of the profile page. It is, in reality, an online scrapbook of your life with the most memorable moments, photos, status updates on a one page display for everyone to see. This gives you the opportunity to present your own biography giving everyone the chance to share in your life. Previously, as an ice breaker with young people, I have asked them to design a scrapbook highlighting the key moments in their life. It gets them thinking and reflecting and gives them an opportunity to share something of their life with other people. This is what Timeline is allowing people to do online. I think it’s a brilliant idea and could be used as a part of your youth club or group to bring it a bit of variety and get involved in their online world. Saying that, like all technology, it has its downsides as well as its positives. Facebook has always had the potential to breed narcissism. The never ending quest to be loved and accepted by showing people how great you are by showing the ‘perfect’ side of your life whilst deleting the boring or horrible stuff. I think working with young people on their timeline in a youth club setting would help kerb some of that but it is an area that youth workers need to be aware of. Before all you could do to a video, picture, comment etc on facebook was ‘like’ it. Now with gestures you can let people know you are WATCHING a film, LISTENING to music, READING a book. This again will allow people to share their passions with one another and see that other people like their stuff as well. On the downside, it will lead to more spam as advertisers well then be able to send you more user specific adverts. It will also mean an abundance of over-sharing but with the new ‘ticker’ feed at the right hand side, your main home page won’t be filled with all this info. Facebook plans to take over the online media world as well and because of a number of recent partnerships, you will now be able to watch movies, listen to music and read books and newspapers without ever having to leave facebook. If a friend is doing any of the above, it will show on your ticker feed and allow you to join in the experience with them. This offers a whole load of possibilities like having online film nights with your youth group, where you can talk and comment on what you are watching, share new music and talk about news stories with each other. This is an area I am keen to see explored with youth workers and their young people. All in all, I think the facebook overhaul offers some great opportunities for work with young people. There are the negatives and we need to be wary of endorsing facebook to the extent that young people spend all of their time there (which they now could theoretically) but let us embrace online youth work and share our experiences together. Are you as positive as I am about the changes or are there areas I have not given enough thought to? I had the tremendous opportunity this week to teach a seminar to the youth work honour students from International Christian College, Glasgow (and a few visitors). The subject was ‘facebook and youth discipleship’. It was an excellent morning with lots of discussion, so I thought I would post a summary of what was spoken about. I started with one question, “how do you use facebook in your youth work”? Everyone said the same thing. 1) online bible study using facebook group chat. 2) online youth club using xbox live or the PS3 online network, communicating with each other through headsets. Private is the new public, forming an identity and the disconnect between the physical and the online world. When I was a teenager, my inner thoughts were just that: inner thoughts. I’d write letters, film scripts to wrestle with my thoughts and emotions. That was my way of dealing with issues etc. With the advent of blogging and social media, young people can now post their thoughts, photos, videos etc online. They can share intimate details of themselves and have people respond to them immediately. We discussed the positive and negative effects this would have on young people. 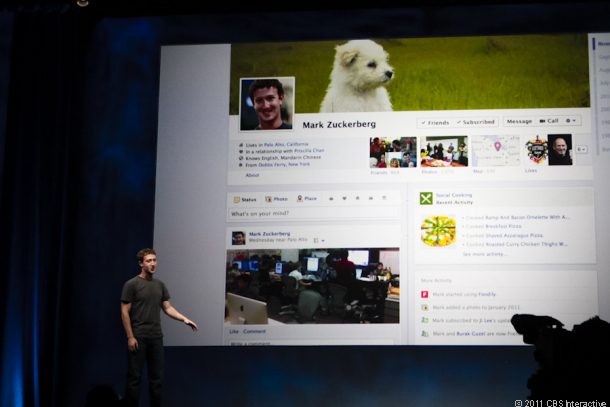 Creates a sense of connection with others who have similar likes/ interests Facebook ‘like’. It was this area that originally got me thinking about the effect of social media on young people. There are young people I know who act very differently in person than how they do on the facebook page. They happily post pictures of themselves drunk, fill their status updates with swearing and speak to others in a way they wouldn’t speak in front of me. A number of the group shares similar stories. Have you had similar experiences of this? In our final section, we explored some of the practical issues when beginning to think about online youth work. I used a quote from Katie Bacon (and online youth outreach worker) who I spoke to when preparing for this seminar. What is the purpose on using the social media platforms ? How you going to contract informed consent? Have young people been invited to involved in the planning and development of the social media initiative? All in all, it was a brilliant morning with lots of fruitful discussion. Feel free to post your thoughts or comments to this. I have been asked to do a guest lecture for a Youth Work Honours Degree course on ‘Discipleship and Facebook‘. As I begin to research this, I want to throw out some questions that I would appreciate your comments on. What are the positives in using facebook as a discipleship tool? What are the negatives in using facebook as a discipleship tool? What are the key differences between face-to-face discipleship and online discipleship? Does your church/ organisation have a child protection policy when it comes to interacting with young people online? Young People, St Paul, and a whole load of ****! I recently asked one of our older young people to oversee the ‘sung’ worship at the start of our youth fellowship meetings. He is incredibly talented in all things music but he’s also getting to that age (18) where he could easily drift off from things. That’s not to say that they would leave things, but I always think it’s best to think these things through. I wanted to give him an opportunity to lead others. To be valued for his contribution. Since then, a couple of people have come to me because of obscene things on this person’s ‘facebook’ page. Now, I had been aware that on occasion, this person had used swearing on his page but didn’t think much about it. What’s all the fuss with swearing? More specifically, can language be inherently offensive and should we be stopping young people from using language that we find offensive? Rather than go into the history of swearing, which you can read here or buy a really good book on the subject here, I’ll summarise a couple of main points and then discuss things a little further. 1)Swearing was, in a way, a form of subversion between the middle/ upperclass and the working class. 2)words find their meaning in culture and are culturally bound. 3)the meaning of words evolve: words that were considered swearing a generation ago, are no longer considered that by the younger generation. What I don’t want to do is write off the views of the person who spoke to me. I understand their view. They find those words offensive even if the young person doesn’t. This persons’ views are important. When God brought the Israelites out of Egypt, He called them to ‘Be holy because I, the LORD your God, am holy‘ (Lev 19:2). Many of the levitical laws found in the pages of the OT concern this issue. God asked these people to be set apart. to be different. He wants them to stand out. Jesus continues this idea when he compares the followers of ‘the way’ to salt or light (Matt 5). So, as followers of ‘The Way’ should we demonstrate our difference to our culture by not using terms that others find offensive? That would be one solution. But then we have to ask ourselves, who is it that finds these words offensive and why do they find them offensive? After all, there are words that others would consider swearing that I wouldn’t. It makes the issue all the more complicated. Perhaps we could offer a list of words by mutual consent that we don’t say to certain people? I know that at YF or in church there are words that I will not use. No one has said that explicitly but I know it to be true. Or even with that are we still missing the point? What’s the real issue? And does the bible speak specifically on this issue? Paul is building up a picture of how the church should be. What a true community of humanity looks like. And in the midst of it all he says to rid ourselves of filthy language. But what did that mean to Paul? The greek is aischrologia which literally means ‘dishonouring words’. The words around it, “anger, rage, malice, slander” are all oppressive words. Things you do or say about someone else to strip them of honour. Words that abuse them. Oppress them. “filthy language (as it’s translated) is not then simply about swear words. It’s about how we treat one another. the meaning of words are subjective. 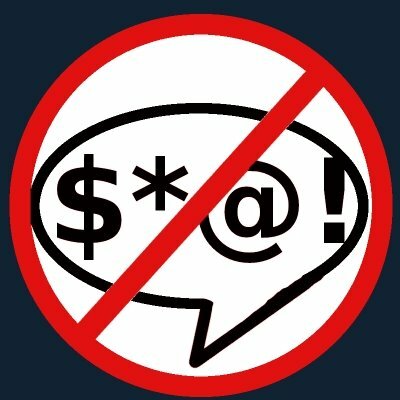 Language is not inherently offensive. swear words then are only swear words if we define them as such. to say that certain words are wrong is disingenous. It’s what’s behind the words that I would have an issue with. If swearing comes from a place of anger, if we are using those words to offend or belittle someone then that is not right. But if we are using them because they are simply part of our vocabulary and allow us to express out views succinctly (as was one of their original intentions) then I do not see that an issue. So what about the young persons use of language on facebook? Objectively, I don’t have an issue with it. If words are not inherently offensive then there is no problem. because facebook is a public place and people who may be offended read what we say, then I do think we have a responsibility to at least be aware of that. For me then, moving forward, I think it would be profitable to have a conversation about language and how we use it with the whole YF and discuss together its implications at YF, church and the wider world (both on and offline). Secondly, following that it may be worth putting together a set of terms that we should not use in certain contexts because of who may be listening/ reading. Thoughts? Have people done this? Has it worked? Any other suggestions?